The Tin Shed of today was built from corrugated iron in the late 19th century and used on the farm as a horse stables. Several decades later when horses were largely replaced by tractors, the shed became used for grain storage. In 1985, farm owners Brian and Olwyn Palmer converted the shed into The Tin Shed, a shop selling wool sweaters hand-knitted by local ladies. It went on to become a thriving business selling New Zealand-made wool clothing and sheep skin products. Super-light-weight merino knits (particularly the Bay Road range). 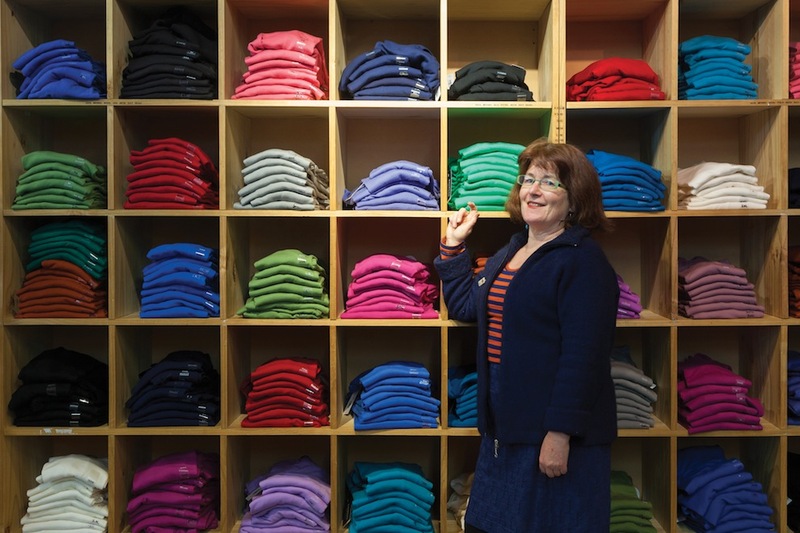 Merino possum knitwear (super-soft, super-light and twice as warm as pure wool). Bay Road merino knit tops were so light, fine and soft, they could be worn directly on the skin without the itch factor of previous pure wool garments. The second innovation, merino possum knitwear was produced by blending merino wool and possum fur. The possum is a major ecological pest in New Zealand – it has been killing native plants and bird life since its introduction here in the 1850’s. Bay Road merinos and merino-possum knitwear quickly became our two best selling lines. I didn’t realise then, just how many loyal NZ and overseas customers, who’ve never actually been to The Tin Shed, would end up trusting us to deliver their goods safely. When you buy NZ-made products you are supporting the production of natural, sustainable fibres that are a better choice for you and for the planet. We promote NZ-made goods because we aim to support our dwindling numbers of New Zealand manufacturers still committed to making goods in here. By retailing these goods we are adding economic value to our primary products, creating jobs for New Zealanders and helping to develop and retain intellectual property within our country and in particular in the wool industry.